The Blind Prophet is a point-and-click adventure game set in a “tragically blunt and mature universe.” This description alone, plus the comic art style, was enough to catch my attention, and I’m glad it did. The game is developed by Ars Goetia Games, a one-man studio led by Baptiste Miny with the help of a few friends. Miny is an experienced concept artist and illustrator that worked for “both big companies and indie developers.” He decided to step away and make his own. The Blind Prophet follows the tale of Bartholomeus, an apostle on a holy mission from God. He is brought back to life to protect humanity from the tyranny of Demons – seven demons, to be precise, plaguing on the mortals in the corrupted city of Rotbork. The story is told through dialogue between characters and deals with philosophy, redemption and moral struggle. It’s meant to challenge you and provoke you to think about the importance of our existence, good, evil and sacrifice. For example, you might kill a possessed man threating to hurt a young woman, only to later discover he had a wife and child. Ethical choices like this one drive the narration forward. There are also less impactful choices for you to make. When faced with a choice between two locked doors, you can try and break them by force and risk the attention of local law enforcement. Alternatively, you can do a bit of research, learn which door if the right one, and lure the occupant with a clever trap made from a severed hand and a desk lamp. Now that’s classic adventure game logic right there. The Blind Prophet plays like a traditional point-and-click game through and through. You pick up items, examine your surroundings and solve puzzles. 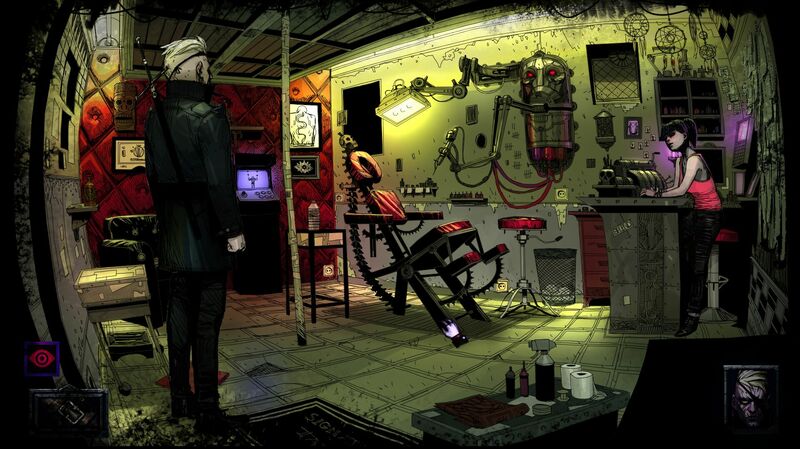 Miny cites games like Bladerunner, The Last Door, Broken Sword, and Gabrial Knight. 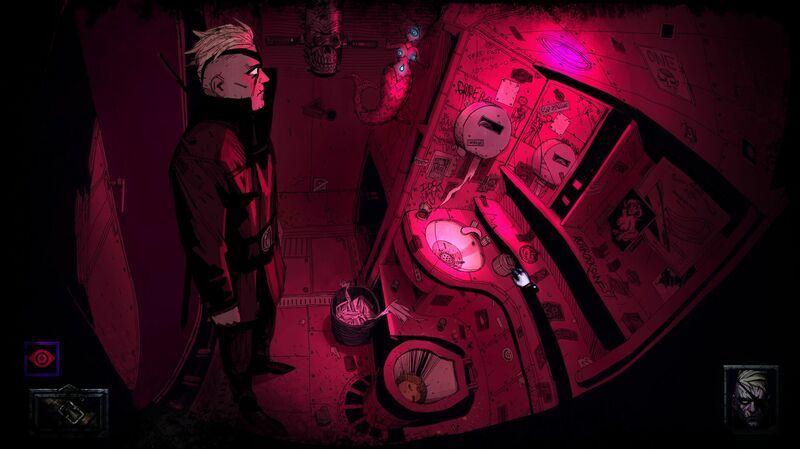 He describes the game as a “mix between The Broken Sword series and Bladerunner. When looking at the blind prophet, it’s easy to assume he is just a clone of The Witcher series Geralt. He is a white-haired, sword-wielding monster slayer with a gravelly voice. However, Bartholomeus is fighting for more than money, and seem to really care about the people he saves. Also, he usually has more to say. The Blind Prophet has its own style and voice thanks to its hand-drawn art and intriguing, dark settings. The game is currently on Kickstarter, seeking $11,442 (€10,000( in funding. If you want to try it before you decide to back it or not – there’s a demo over at Gamejolt. 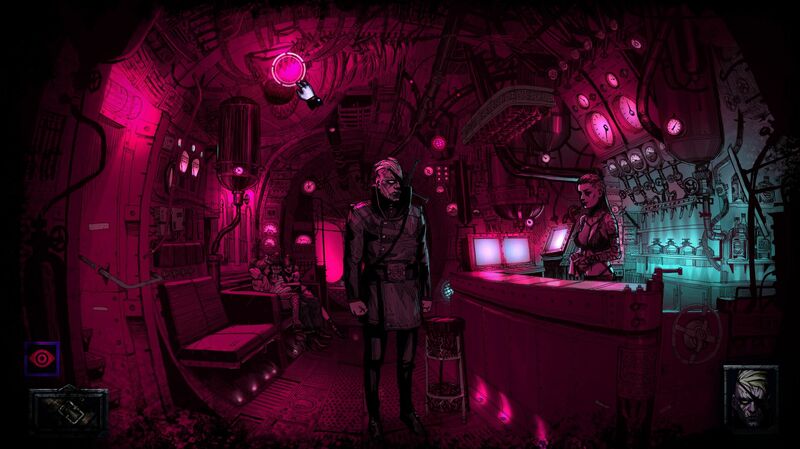 If funding is successful, The Blind Prophet will be coming to PC and MAC sometime this year. PlayStation 4, Xbox One, Switch, and iOS versions will arrive at a later date.